Find hotel near Orla De Atalaia And Praia .. This massive sports and entertainment complex, on a six kilometres long beach, and nine kilometres from the city centre, is the pride of Aracaju. The sheer number of activities alone is impressive. There is a bar and restaurant section filled with international cuisine; an area devoted to regional food; a five kilometre long bike trail; the Crab Catwalk (Passarela do Caranguejo) eating area (look out for the giant crab sculpture); gravel tennis courts, beach volleyball, soccer fields, a gym and a swimming area; a skateboard ramp park; a playground for children; picnic areas; and small lakes for paddle boating. 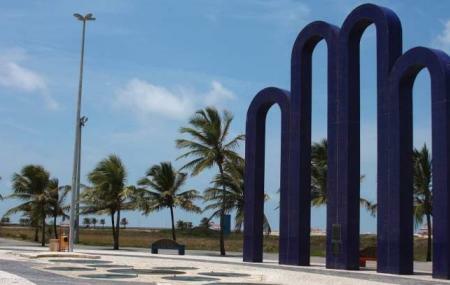 There’s a Centre for Art and Culture of Sergipe, where you can buy excellent local handicraft. The Oceanarium of Aracaju is always a family favourite visit. And of course, there is the watchtower lighthouse. The complex is so massive, there’s little chance of covering it all in a single day. Or even three days. Prepare to return multiple times to take it all in. The place is unabashedly a tourist trap, but entirely worth it. It’s not unusual to see people on the boardwalk at night; it’s quite safe, as there are police cameras all the way. There is a massive parking area. While there are no hours provided, events held in the Event Hall may have their own schedules and ticket prices. Check attraction website before visit. How popular is Orla De Atalaia And Praia Do Atalaia? People normally club together Museu Da Gente Sergipana and Aracaju Aquarium while planning their visit to Orla De Atalaia And Praia Do Atalaia.